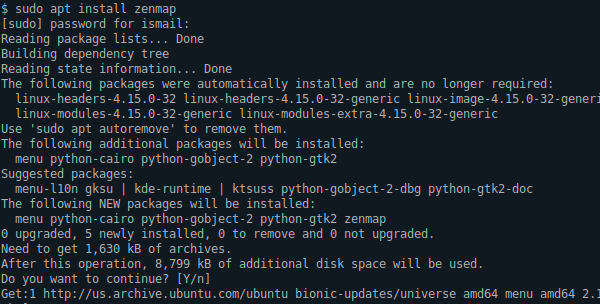 What is Zenmap and How To Download, Install and Use In Windows, Linux? Zenmap is an free and open source GUI designed to be used with nmap . 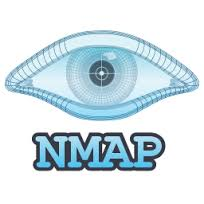 Zenmap is multiplatform tool which supports Linux, Ubuntu, Mint, Kali, Fedora, CentOS,.. , Windows, Mac OS X, BSD etc. . nmap is very powerful tool for network scanning and vulnerability discovery but it is completely command line based. Zenmap can be used by novice users to scan network and discover vulnerabilities. Windows version can be downloaded from following link. 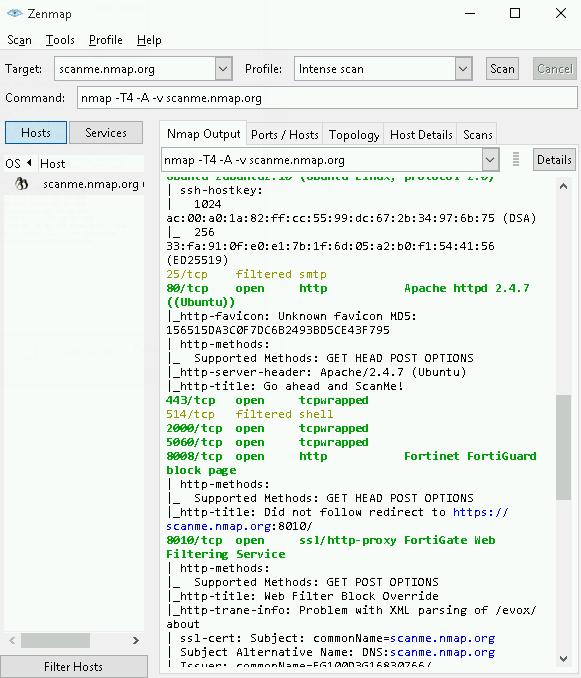 Zenmap is GUI form of nmap and provides some input areas for parameters. Target is the remote target we want to scan. We can put single of multiple targets like nmap. Profile is the scan options like speed and detail which is preconfigured as Intense Scan in this example. Command is the command which will run in command line and created with the given parameters. Scan will start the scan process. As nmap is network scanner which requires privileges to install wincap or similar libraries to capture we need some rights to install and run it. So there is no Zenmap portable version which works properly. Zenmap is just a GUI form which can be used by novice users. It completely uses nmap command line tool. So they do not have similarities or differencies. They just completes each other. LEARN MORE How To Get Mac Addresses Of Hosts With Nmap? As Zenmap is a GUI tool it doesn provide any command line support and just a form to convert given options to the nmap command line options. What Is Linux nfsd Process and Meaning? How To Use Vi Editor?